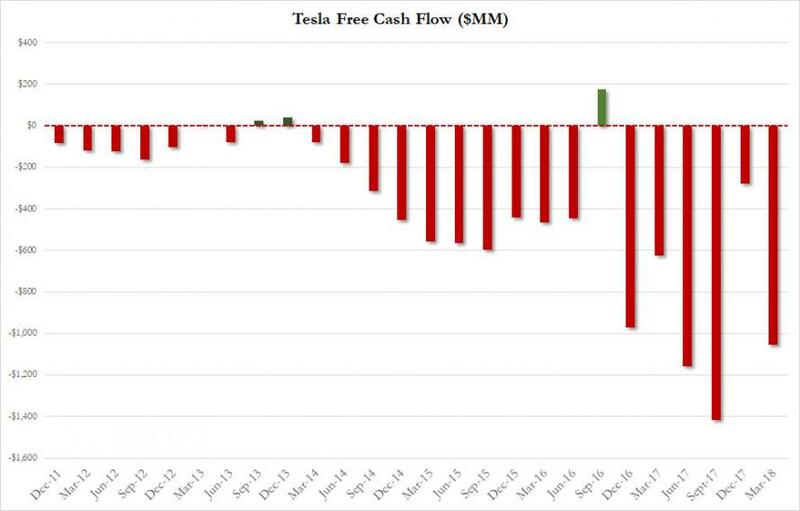 Liquidity Crisis: Tesla Asks Suppliers For "Cash Back"
... even as Tesla's debt grows and grows and grows. Well, those concerns are about to get far more acute following a WSJ report that the company, seemingly facing a liquidity crunch, has asked some suppliers to refund a portion of what the electric-car company has spent previously, an appeal which the WSJ notes "reflects the auto maker’s urgency to sustain operations during a critical production period." Which is especially odd in light of Musk's vows that Tesla will "at least be profitable in Q3 and Q4." According to a memo seen by The Wall Street Journal that was sent to a supplier last week, Tesla said it is asking its suppliers for cash back to, drumroll, help it become profitable, as if that is somehow the priority of the company's suppliers. 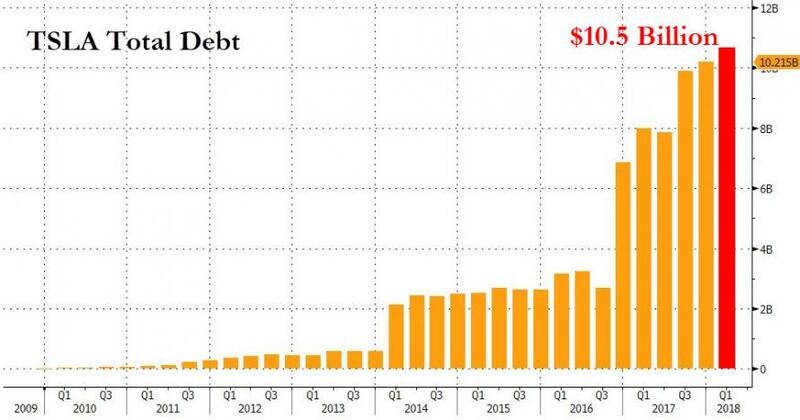 And we are not talking about a few cents here and there: Tesla requested the supplier return what it calls a meaningful amount of money of its payments since 2016. But wait, it gets better: the memo which was sent by a global supply manager (who will probably be fired shortly), described the request as "essential to Tesla’s continued operation" and characterized it as an investment in the car company to continue the long-term growth between both players. 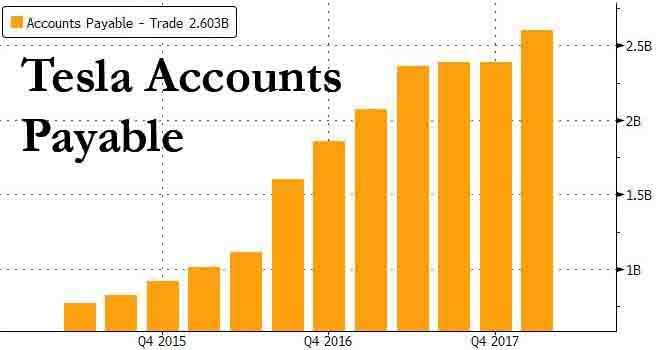 $TSLA has been cranking out cars 24/7 at 2-3x the rate they can deliver them, turning supplier parts on credit into finished goods. 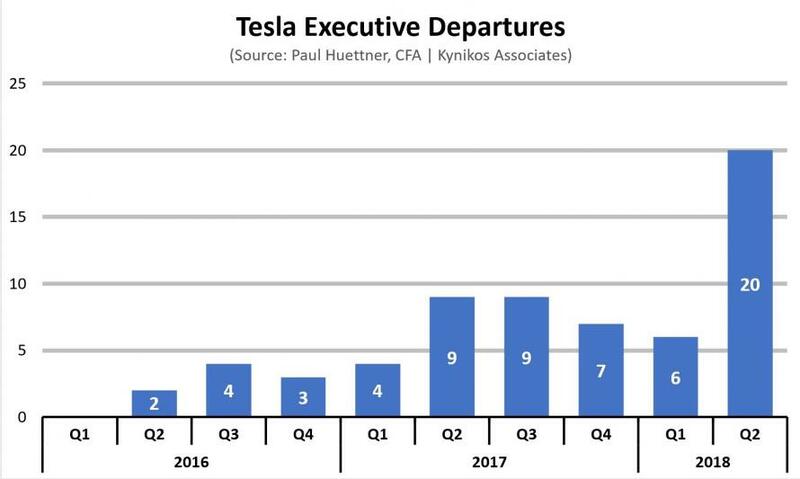 For those wondering how much money Tesla owes its suppliers, or "ransom" as it is now better known, the answer is $2.6 billion and rising exponentially. As the WSJ further adds, "while Tesla said in the memo that all suppliers were being asked to help it become profitable, it is unclear how many were asked for a discount on contracted spending amounts retroactively." While Tesla did not comment on the memo, it spun the situation as standard industry practice (it isn't) confirming it is seeking price reductions from suppliers for projects, some of which date back to 2016, and some of which final acceptance many not yet have occurred. The company called such requests a standard part of procurement negotiations to improve its competitive advantage, especially as it ramps up Model 3 production. Odd that Tesla did not consider all these aspects of its business when it signed contracts which laid out, very clearly, what its obligations were. While it goes without saying, the WSJ summarizes that "the surprising requests raise further questions about Tesla’s cash position, which has dwindled after it struggled to boost production of its first car designed for mainstream buyers, the Model 3." While Tesla did finally reach its longstanding goal of making 5,000 Model 3s in a single week, it has since found it lacks the distribution and logistical capacity to deliver the cars to buyers (or, worse yet, does not have enough orders) and the result has been thousands of Teslas just sitting in the hot California sun, not getting delivered. And while the WSJ admits that in the complicated relationships between auto makers and suppliers, sometimes auto makers will demand a reduction in price for a current contract going forward or use leverage of awarding a new deal to get upfront savings on a contract, but - they said "it is unusual for an auto maker to ask for a refund for past work." Unusual yes: because what Tesla is asking its suppliers is to pay back profits they have already booked as far back as two years ago. 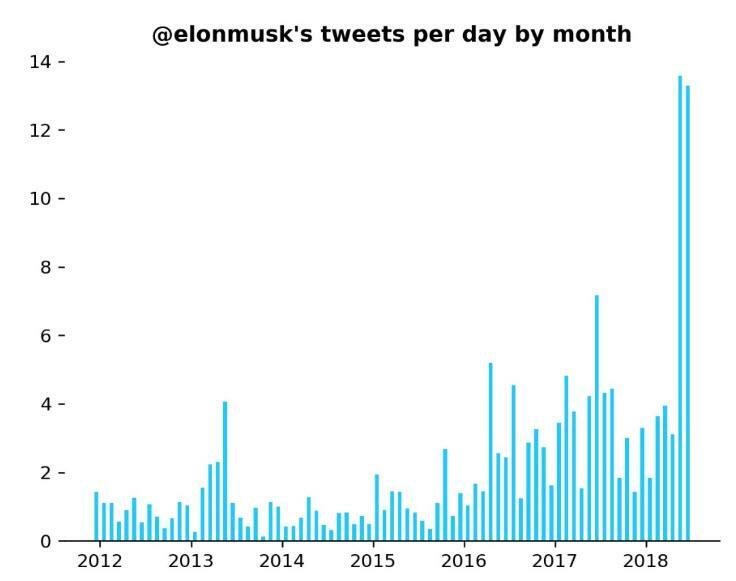 Which is also what Elon Musk is now demanding in order to give Wall Street the impression that his company is doing better than it really is, and prop up the stock price for at least a few weeks more. 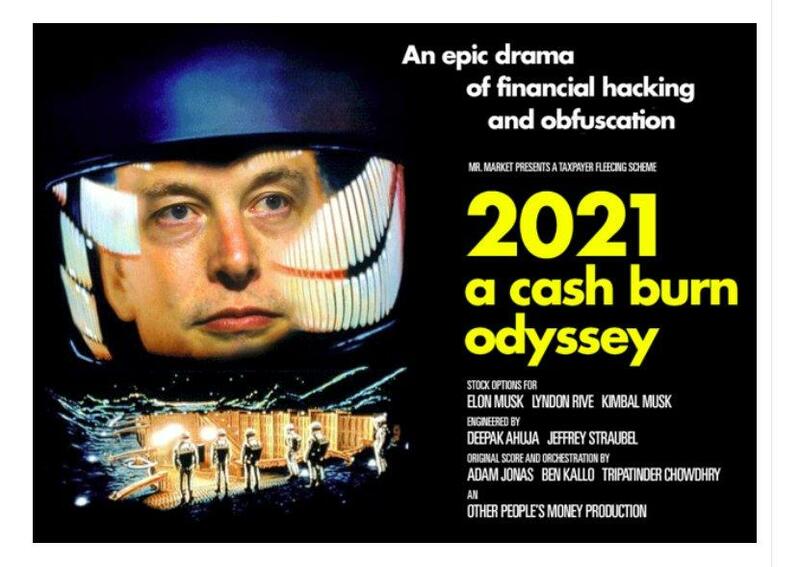 Alas, in light of Musk's recently bizarre behavior, coupled with this latest confirmation that Tesla's liquidity management has far deeper problem than previously disclosed, this may be the last straw that many investors have needed to finally drop their faith in the auto maker whose wheels, so to speak, are falling off one day at a time.